This is a quick webpage (3 pages in all) to show what happened at the Drenthe Sleepweekend on 18/19th October 2003 organised by Harm and Annet. Thanks to you both it was a great success! Click on the photos to see a larger picture! To see more photos click on the Pages on the top right hand side of the screen above. There were 2 ultralights present. Both pilots from Germany. 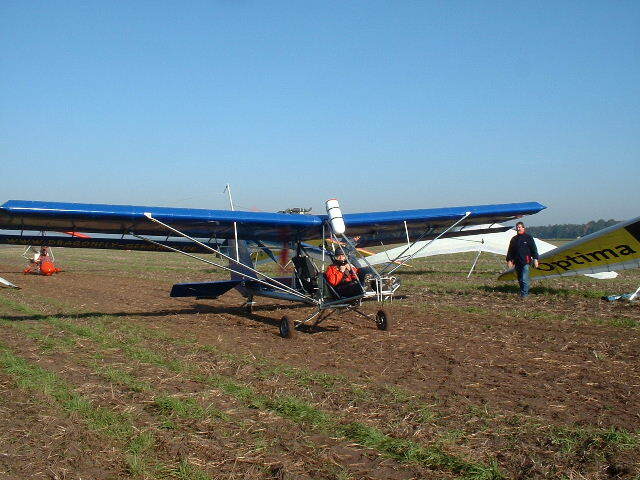 "Mr" Dragonfly and Gunther (who helped out at Deelen 2003). Many thanks to them for turning up. The event was staged over 2 days to demonstrate to local officials that an Aerotow Flight Park should be set up in the area. 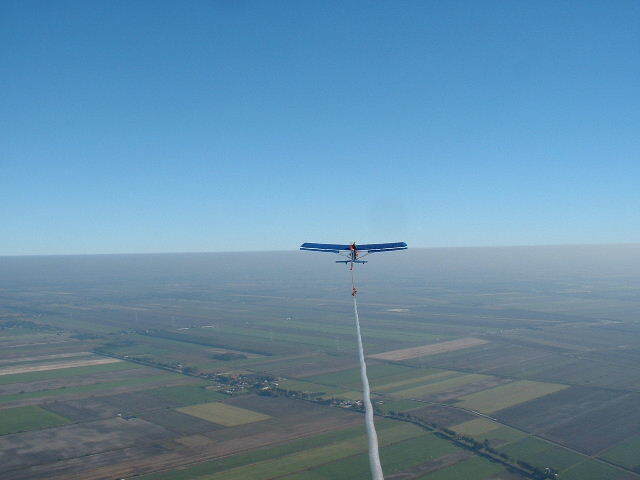 The weather was perfect for late October a high pressure meant that there would be nice easy tows above the inversion. There was about 15-20 pilots present (I didn't count) of varying abilities and Egon Smit was on hand to give the less experienced a helping hand, as well as giving a helping hand to push Koos's duo dolly...! What made it interesting for me was to see a Dragonfly in the Netherlands. I've flown behind the Dragonfly both the the USA and Australia and it really is a delight to tow behind it, much more relaxing than behind a trike even for a rigid pilot like myself.